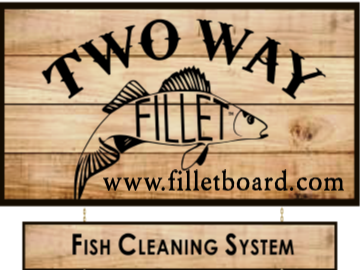 TWO WAY Fillet® - Fish Cleaning System - The most consistently effective way to harvest more meat more often when cleaning fish. 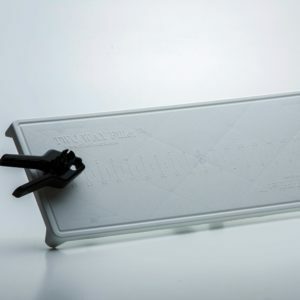 Easier, Safer, Better - Our unique fillet clamp anchors your slimy fish through the entire fillet process in perfect fillet position! Our reversible clamp replaces your hand - keeping it away from fish's head, mouth, gill plate and your sharp knife blade. No more slipping either! Using TWO WAY Fillet® is like filleting with a third hand. Fillet A Better Way®. 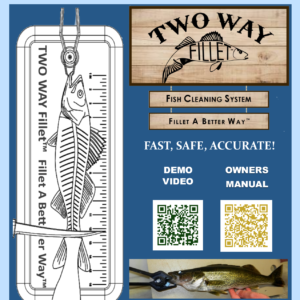 The TWO WAY Fillet® Owner's Manual is available for viewing on line, as a free PDF download or as a printed copy available for purchase. Please take advantage of the free download or view the manual via the QR code provided. Click on the TWO WAY Fillet®... link at the top of this post.